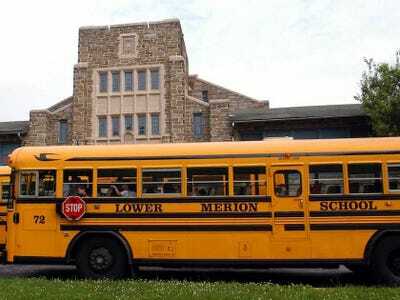 William Thomas Cain/Getty ImagesSchool buses stop to drop students at Merion Elementary School in Lower Merion, Pennsylvania. Lower Merion has one of the top school districts in the country. The Edgemont School District in Westchester County, New York has the best schools in the country, according to a new ranking from education review website Niche. Interestingly, all of the top 10 school districts on Niche’s list are in New York or Pennsylvania. Four of the 10 districts serve towns in Westchester County, a suburb right outside of New York City.